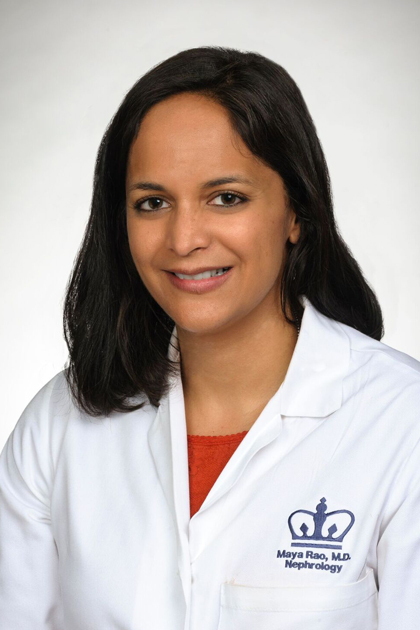 Dr. Rao is an Assistant Professor of Medicine in the Division of Nephrology at Columbia University, where she has been on the faculty since 2009. She is the Director of the Chronic Kidney Disease Program in the division. Her clinical interests are in pre-dialysis kidney disease and caring for older adults with kidney disease. She runs a geriatric nephrology clinic which focuses on the care of older adults with advanced kidney disease, including initiating a palliative approach for patients who choose to forgo dialysis for active medical management of their kidney disease. 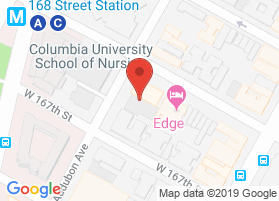 In addition, she is a member of the ColumbiaDoctors Hypertension Center, a multi-disciplinary center of excellence that provides high quality care and state-of-the-art diagnostic testing for patients with hypertension. Dr. Rao has previously done work in health care disparities and chronic kidney disease. Her current research interests are in geriatric nephrology. She has a NIH grant to study the ideal vascular access in older adults preparing for dialysis. In addition, she is currently funded on a project trying to improve nutrition education to patients prescribed a restricted kidney diet.